Discover new clean fantasy books for free! This giveaway will remain available until March 31st, 2018, books may come and go over time. Don't miss out on a book that interests you! 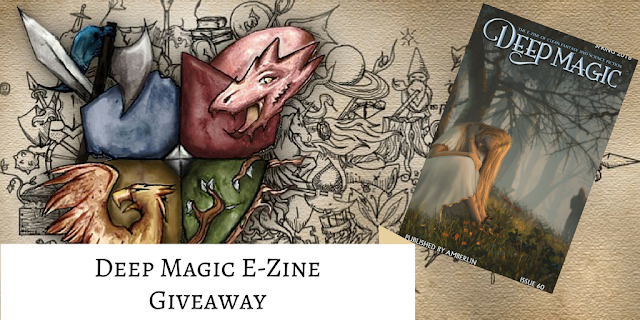 This month Fellowship of Fantasy is partnering with Deep Magic E-Zine for a very special giveaway. Using the Rafflecopter below you can enter to win the Spring edition of their quarterly publication featuring wonderful, clean fantasy fiction.